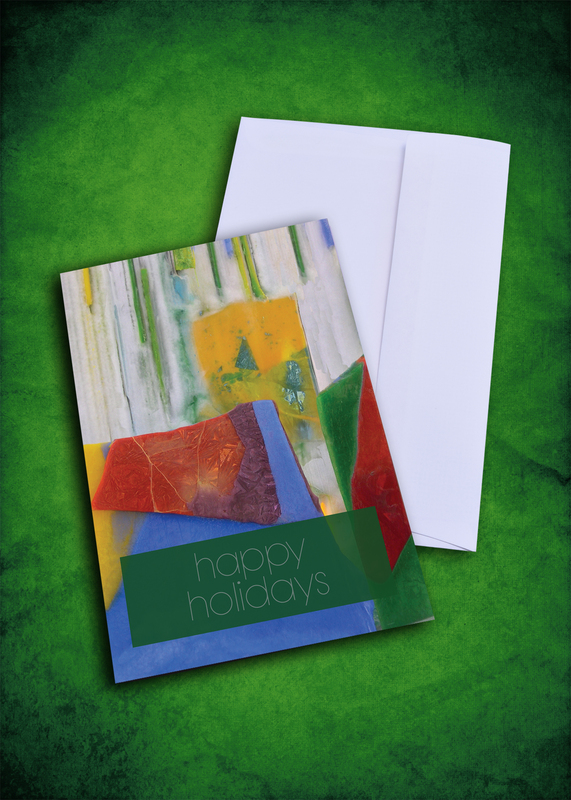 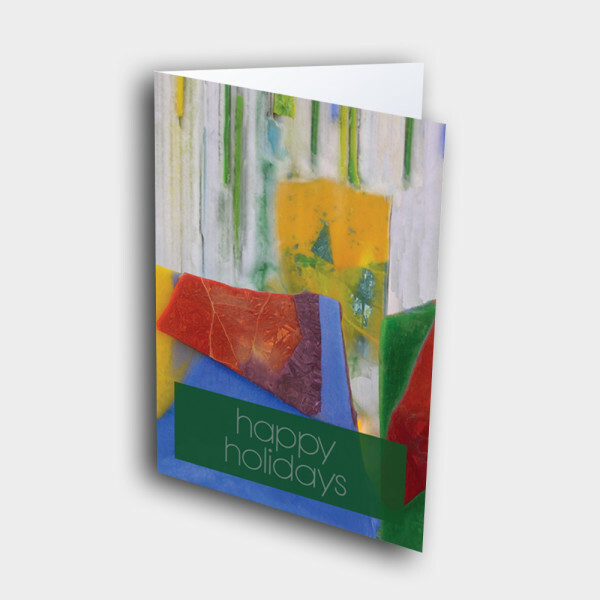 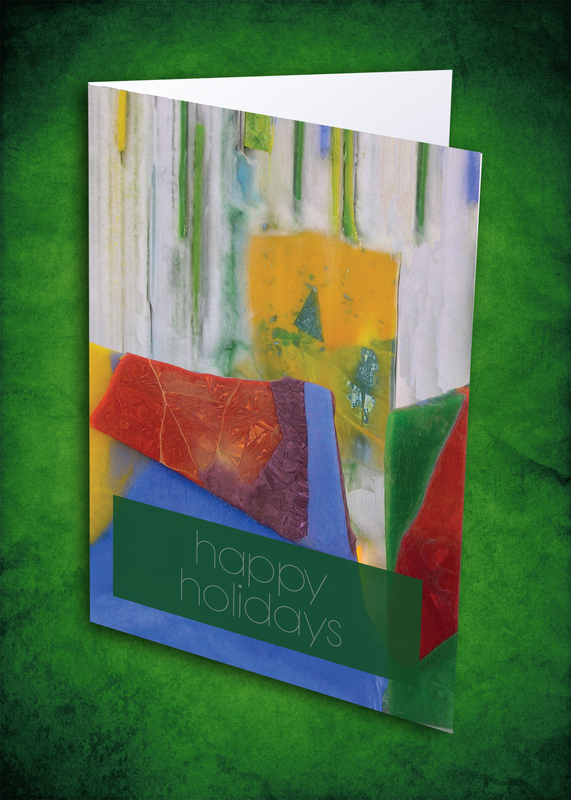 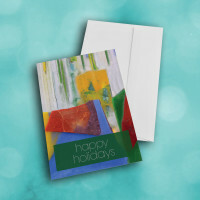 This creative greeting card is the perfect, modern way to share your holiday greetings. 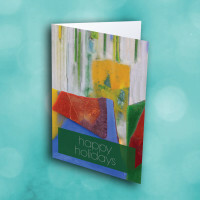 Be unique this season with this holiday greeting card. 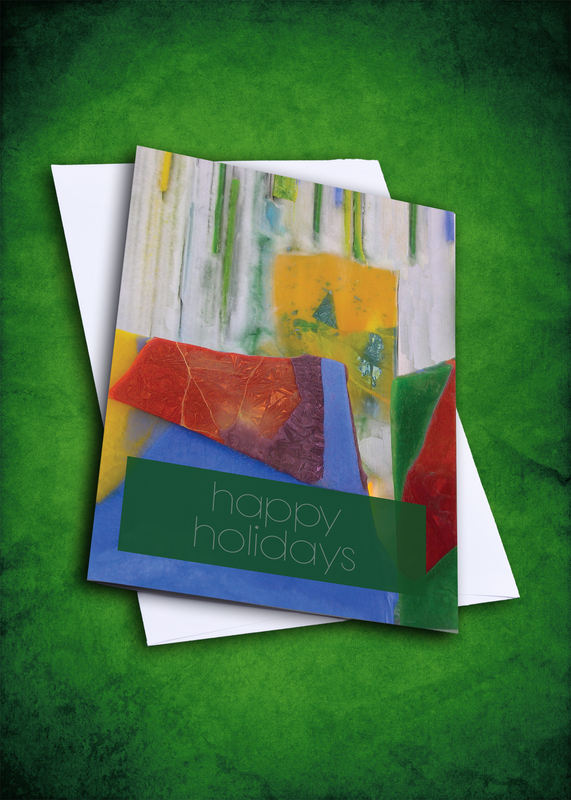 The front is an interesting mosaic of bright colors, patterned like ice. 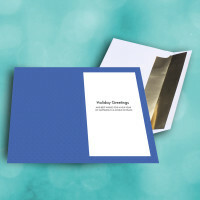 The deep-blue, patterned interior contains the classic message; add personalization to make this a truly one-of-a-kind holiday card.